Mumbai: Most mornings, Priya Basu travels to the other side of the world from her office in Washington, DC. The World Bank’s lead economist for South Asia rarely ventures out of a long conference room with a red mahogany table and light blue suede chair at the bank’s Pennsylvania Avenue office, but a bank of video cameras beams her to Bangladesh, Bhutan, India, Nepal, Maldives, Pakistan and Sri Lanka and it beams faces and voices from these countries to Washington. The discussions usually revolve around ways to negotiate with governments or devising programmes to alleviate poverty. In November, Basu steered a $600 million (about Rs2,359 crore then) loan to India through the bank’s board, the largest loan for a single project in the bank’s history in India. The funds will help restructure India’s cooperative banking sector with the ultimate goal of helping the poor gain access to loans. That sort of achievement broadly fits in with what the four-year-old Basu saw herself doing when she grew up. She wanted to be the country’s prime minister and when her father asked her why, she replied that she wanted to change things. “I don’t like the fact that my nanny, who is looking after me, lives in a little room and she doesn’t live with us in the house. Why is she poor and why are we rich?" The 40-year old deals with all this from a barewalled office, #10-143 at the Bank’s headquarters. Outside her door are seven clocks set to local times in the bank’s seven South Asia offices. There’s usually a cup of coffee to her left, and a bottle of Gatorade to the right. There are two bookshelves in her office—a small one stuffed with seemingly every book on developmental economics and a large one that is, oddly, empty. Developmental economics is something in whish Basu is interested—very interested. She has worked in the area in India, Indonesia (after the East Asian economic crisis of 1997), and Russia (towards the end of its own economic crisis of the late 1990s). The World Bank is a US-based international institution that advises and provides loans to governments to fund development projects. The bank is often criticized for promoting privatization in all cases and attaching pro-market guarantees to loans, but Basu claims that it has a strong role to play in the ecosystem of development work. And finding hard solutions. “I was growing up in a setting where I was made aware from a young age that there are problems, but there are solutions as well," says Basu. “I come from a background where three generations of women have been involved in social work or social reform." In 1927, her great-grandmother founded a well-known non-governmental organization that works with deprived women, the All India Women’s Conference; her mother, once a professor of history at Delhi University, still runs the NGO. “I grew up hearing about the problems women had living in unequal societies," she said. “And I grew up with stories about how my mother’s NGO helped these women." Basu’s husband, author and journalist Edward Luce, notes her family lived in a modest home in Delhi and “they are very much public servants and public intellectuals, the combination of idealism." He adds that this is where Basu “probably... got her priorities and outlook." Basu’s father was a civil servant from the 1960s to the 1990s, and was dedicated to India’s socialist vision, causing a debate within their family as Basu and her mother were all for the economic reforms India adopted starting 1991. Basu’s father and elder sister are both economists. Basu studied economics at Delhi’s St. Stephen’s College and then at England’s Oxford University. She stayed on at Oxford to do more focused study on development economics, and eventually got her doctorate. She did a stint in the emerging markets group of ING Barings Investment Bank in London. And then went on to be an economist at the International Monetary Fund, or IMF. There she worked on the Philippines and Turkey desks out of Washington before she moved to the Asian Development Bank in Manila, where she worked on the China desk and stayed in the Philippines for more than two years until it was time to move to Geneva for a position at the United Nations Conference on Trade and Development. 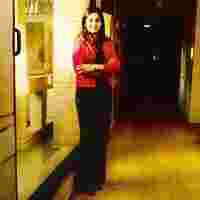 In 1998, she joined the World Bank as part of the young professionals programme, and worked across countries until she moved back to India, to Delhi, in 2001. Still, “defining success is difficult," says Basu, modestly. In the long-term, she adds, she would like to see improvements in how the poor live. In the short term, she accepts, success means influencing governments to create policies and take on projects that will ultimately help the poor. She’s had some of both kinds of success. In 2003, the bank conducted a survey in India with the National Council of Applied Economic Research to study the rural poor’s access to loans and other banking products. The survey showed that more than 87% couldn’t borrow from a bank and more than 70% didn’t have a bank account. The government, according to Basu, sat up and took notice of the fact that public sector banks were not reaching the poor. “We got their ear, and gradually we began to see changes in policy on rural finance," Basu says. “They changed the rules for microfinance, for example. They introduced a number of reforms that... (made it) easier for microfinance institutions to set up operations (and) to borrow from commercial banks and so on." Later, the government announced an initiative to revamp the entire rural credit cooperative system in India, and asked for a billion dollar loan from the World Bank. Part of this is what Basu recently helped secure. “So we see gradually some of our ideas percolate into policy. And then policy resulting in initiatives for which they have come to the bank," she says. That, she adds, “makes me feel that I have been heard." There have been other such achievements, such as a $120 million project of the bank in association with the Small Industries Development Bank of India that helped 1,100 small and medium businesses across 10 states get access to finance and better market information. Basu says such projects keep her feet on the ground in India, although she moved to Washington in 2006. “India is a very important country for the bank. And a lot of the work that gets done gets done from India rather than from Washington," she adds. The travelling doesn’t leave her much time as evident from the boxes waiting to be unpacked in her office. Niraj Verma, a senior financial specialist for the Bank in Delhi who worked with Basu, says that Basu “ can work very easily across borders." Basu had other problems though. “In India, one difficulty that I faced that I hadn’t really faced in other countries working for the World Bank was the fact that I was a woman. The fact that I was Indian. And the fact that I looked young. I look younger than I am," she says of her early days with the World Bank in India. “I would turn up (at meetings) and they would look at me and say ‘where is the World Bank?’"
Still, she persevered. On most days, Basu says she can’t get herself to stop working. Most days, she has to tell herself to leave office. Sometimes, she ends up not listening. “There is just so much to be done," she says.